Not the Atmos speaker, but a rear or rear back speaker. Due to WAF or other constraints, we can see some bros using a position that is just off the ceiling or cove for their rear speaker. Then angling this down to face the MLP. Well as what I told a bro an hour ago..
We live by our decisions, and make a choice based on the compromise between sound and WAF - wife acceptance factor. Put simply, a wrongly or less than ideally placed speaker won't allow the directional place and sound transition required. 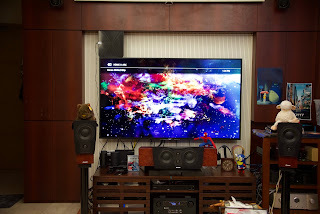 Say a bullet flies from back to front, it won't give that illusion if the sound emanates from up high and rear, then has to transit to the side surrounds or front speakers. It will appear disjointed, or there will be a gap in the sound. The best position for a rear or rear back speaker is always around the ear level or just slightly higher, i.e. at most a foot or two higher than your sitting position. One way if you are able to, is to get your contractor to cut into the concrete wall and lay the cable, then plaster back the cavity. 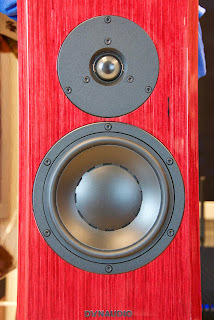 That gives you the WAF you are looking for, and still allowing a better speaker position.